Entrepreneurship, Challenging the conventional, and Innovative thinking inspire us in our search for long lasting value. We are of the believe that true leading Companies are cimented over sound rationale which is ultimately obtained through boldness in thinking and action. Portobello Capital invests in ambitious companies with resourceful managers, that operate in growing niches. Currently we have sixteen companies in our PORTFOLIO. Portobello Capital has 27 professionals. We explain our success on the set of capabilities that we as a team have developed overtime. 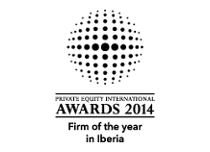 Our TEAM is one of the most experienced and recognised private equity teams in Spain. We have a very deep industry expertise and the ability to execute some of the most complex transactions.